NHS patients switched to cheaper medicines are being told the cost-saving workout is not compromising care. Hospitals that changed their prescribing saved the health service PS324m last financial year. The NHS expended PS17. 4bn on medicines in 2016 -1 7, approximately 15% of NHS spending, and has watched spending increase by 5% every year since 2010. The increase is in part down to the increase in accessibility of new, more complex and innovative medications and more patients receiving effective care with medicines. Biosimilar and generic medications are an alternative to more expensive original drugs. Biosimilar rituximab, which treats cancer and rheumatoid arthritis, became available in 2017 and has delivered the NHS PS5 0m in savings so far. A cheaper alternative to the breast cancer narcotic Herceptin has recently been given approval for NHS use. 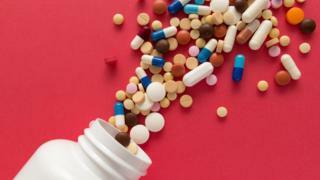 Biosimilars of adalimumab, which treats rheumatoid arthritis, inflammatory bowel illness and psoriasis, and is the medicine on which the NHS currently spends most fund, are likely to be available alongside the original biological medication, known as Humira, after October 2018. Carolyn Rogers, clinical nurse specialist at Breast Cancer Care, said: “Although some may be fazed that these drugs are different to the original, it is crucial people with breast cancer feel reassured they are just as safe and effective. “While new for breast cancer, biosimilars have been used for other diseases for years.